Roseanne is the comedy reboot we didn’t know we needed. 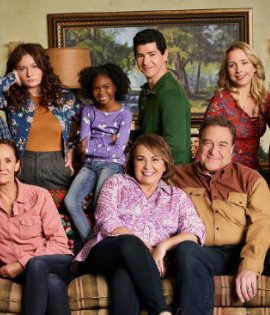 The show brings back the Conners, the middle class family whose experiences were fodder for great laughs in the hit ABC show, which ran from 1988 to 1997. The program’s new season shows that the world might have changed but this unruly family hasn’t. In the first episode, the show revels in the current political climate, finding comedy in a rivalry between Roseanne (Roseanne Barr), the program’s loudmouthed matriarch, and her sister Jackie (Laurie Metcalf). The program daringly finds new laughs by going for the jugular and pitting the Trump-supporting Roseanne against her Clinton-supporting sibling. “What’s up deplorable,” Jackie says to her sister. 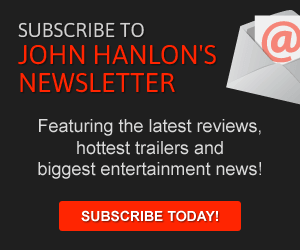 The long-running show was never afraid to take on controversial topics and that rings true even now as the program continues to balance familial one-liners with a contemporary relevance, rarely seen on network television. The first episode finds humor in our nation’s political divisions (“Jackie, want to take a knee,” Roseanne asks at the dinner table) but the program’s nostalgic affection for these characters always comes through even the toughest of disagreements. The characters have each grown up (more or less) but their chemistry remains intact. One of the highlights here is in seeing these characters play off against each as they once did. Returning to the show is the sarcastic Darlene (Sara Gilbert, who also served as an executive producer), the naïve DJ (Michael Fishman), the dimwitted Becky (Alicia Goranson) and the tough-minded Dan (John Goodman). For the show to work, Dan’s return seemed necessary. His great rapport with Roseanne is a highlight of the new season. The character was killed off in the original program’s series finale but he’s returned with the same gruff charm he always had and it’s hard to imagine the program without these two leads at the forefront. As for the gaping plot hole (did Dan really die? ), the show offers a few winking nods to the original program’s conclusion, playing it for laughs whenever possible. Roseanne was notable during its first run for portraying middle-class Americans in a way that people would actually recognize. The show can be politically incorrect and this season continues that but it’s also very truthful. The family still suffers from economic hardships, as most do, but they still find reasons to laugh at the end of the day. Not much has changed about the Conner home and that’s all for the better. Like ABC’s Last Man Standing, this is a show with a unique voice (provided, of course, by Roseanne) and a great ensemble of actors who are willing to keep the jokes coming. One of the season’s episodes revolves around Darlene’s son Mark (Ames McNamara), who likes to wear bright and showy clothing. The show balances Dan’s discomfort with the idea with a kind-hearted lesson about acceptance. Other shows might’ve veered away from the topic but to its credit, this reboot never shies away from topics like political divisions, the health care industry and even addiction issues. Roseanne was a standout show when it was originally on the air and even now, this reboot still stands out in a crowded marketplace. It’s nostalgic, funny and authentic, finding humor in everyday occurrences and everyday issues. Fans of the original show will be pleased and so will younger fans, who might not know the Conners but who could grow to love them.